While supply lasts. Offer not valid on previously purchased tickets and cannot be combined with any other offer. 10 ticket max per order. Discount is calculated off of the original box office price. Service charges apply to telephone and internet orders. All sales are final - no refunds or exchanges. Offer may be revoked or modified at any time without notice and is subject to availability. Other restrictions may apply. 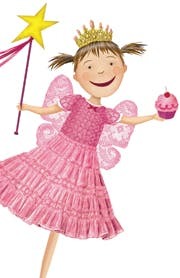 In Pinkalicious The Musical (appropriate for ages 2-7 years old), Pinkalicious can't stop eating pink cupcakes despite warnings from her parents. Her pink indulgence lands her at the doctor's office with Pinkititis, an affliction that turns her pink from head to toe - a dream come true for this pink loving enthusiast. But when her hue goes too far, only Pinkalicious can figure out a way to get out of this predicament.